All photos by Jim Mason South of Independence, just a mile before Coal Creek empties into the Verdigris River, is Montgomery State Fishing Lake. The lake's marshlands, riparian woodlands, and surrounding grasslands provide habitat for many species of wildlife. Diving ducks (such as ring-necked, common goldeneye, and bufflehead) can be seen on the lake in winter and early spring. Look in the marshy areas for mallards, pintails, muskrats, and beaver. The massive Noxie sandstone formation makes a natural border for this lake. 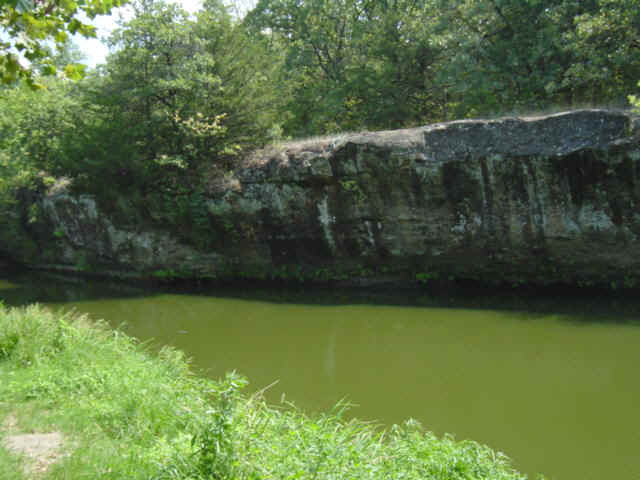 The exposed ledge, often over six feet in height, may be seen all along the south side. Away from the shoreline, the Noxie sandstone is exposed as rocky balds which are covered with many colorful species of lichens and mosses. The woodlands hold woodpeckers, northern cardinals, and blue jays, and bluebirds are common in open areas. Warblers pass through in spring and fall. Vireos and indigo buntings nest in summer. In evening and early morning watch for wild turkey, white-tailed deer, and fox squirrels. Meadowlarks, dickcissels, grasshopper sparrows, mourning doves, and northern harriers can be observed on the grasslands. Boat ramps, Pit toilets, Seven rock fishing piers, Two floating fishing piers. Directions: From the junction of U.S. 75 and U.S. 160 in Independence, travel 4 miles south on Tenth Street (County Road 3900). Turn east; drive 1 mile to the lake. Ownership: The entity responsible for management of this site is the Kansas Department of Wildlife, Parks & Tourism. 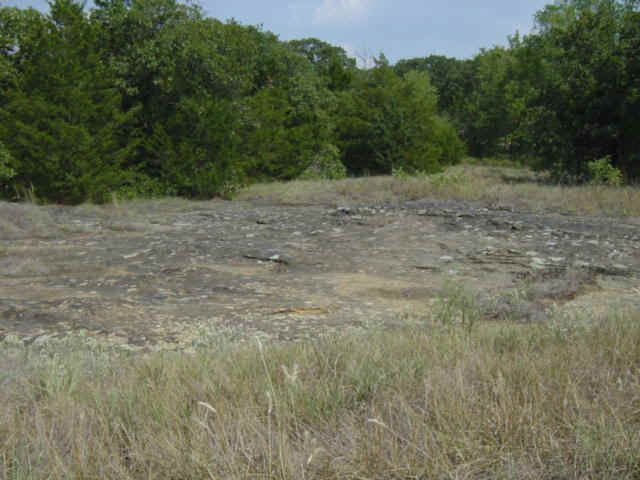 Call them at (620) 431-0380 if you have specific questions about use of management of the site. 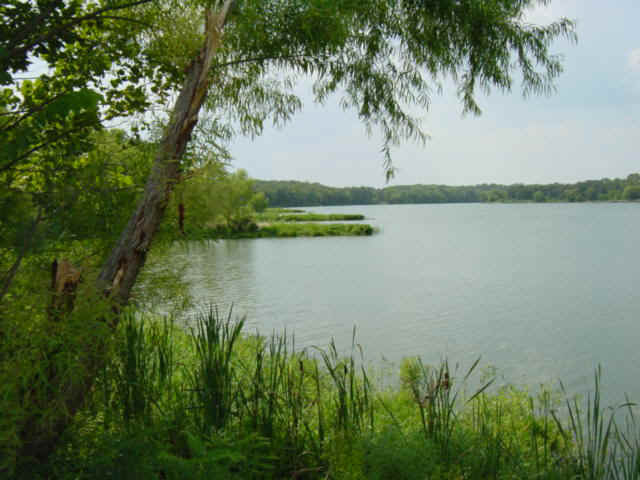 You may download the KDWPT brochure on Montgomery State Fishing Lake from their web site.